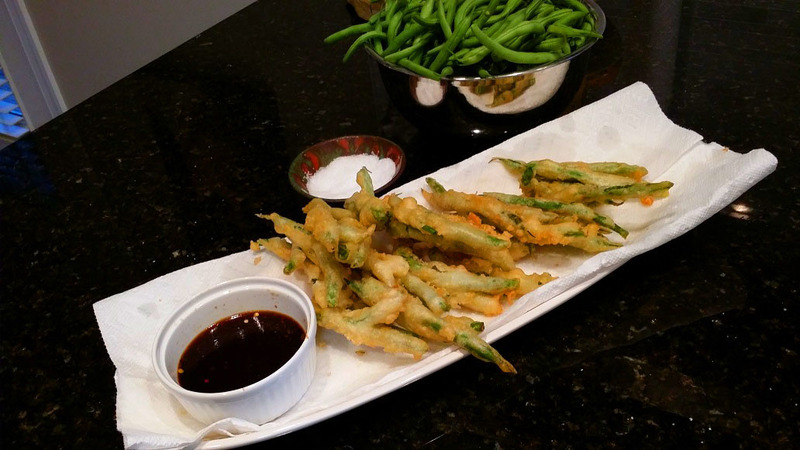 Ruby Tuesday's makes a tempura green bean appetizer that hubby and I just love. 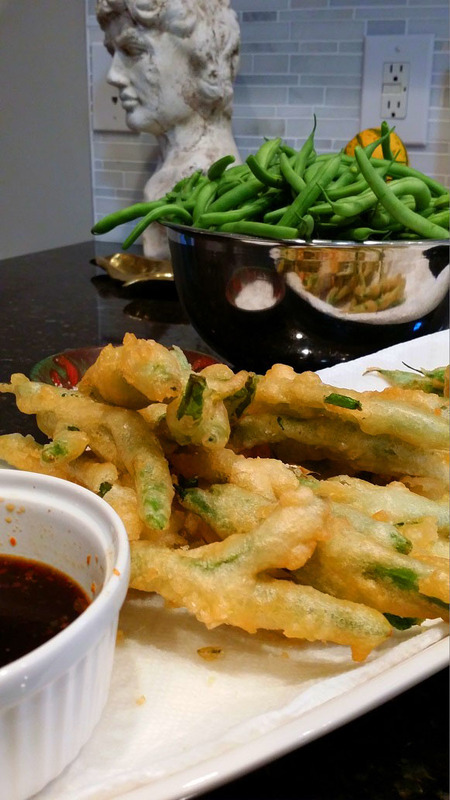 So, after picking a "mess" of green beans yesterday, I pulled out our deep fryer and dug up a tempura batter recipe that I've had my eye on just for this purpose. 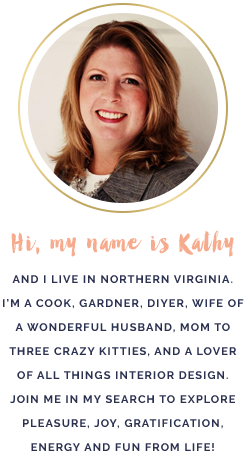 I normally do not like to fry food in the house, as I don't like the smell it leaves afterwards. In fact, the last time I used my deep fryer was for Super Bowl 2014 when I made chicken wings. But, boy was this worth it! This tempura batter would work on just about anything: green beans, cauliflower, shrimp, squash...an old shoe. It's THAT good! I made a dipping sauce that is thinner than Ruby Tuesday's and a little less sweet, but spicier, and it was perfect. Hubby and I drank champagne and ate tempura green beans as our wedding anniversary dinner. Perfect! Mix flour, cornstarch, salt, sugar, and baking powder. Add Soda water gradually, stirring with a fork, first to create a paste and then until mixture is like a thick pancake batter. More than 1 cup of club soda may be needed to achieve this consistency. Heat oil for frying to 375°-400°. Dip prepared veggies/meats in batter, coating completely. Shake off excess. Fry vegetables/meats, a few pieces at a time, until light brown and crispy. Do not crowd fryer, or oil temperature will drop. No more than will cover 3/4 of the surface of the oil. For the green beans, I fried mine for approximately 3-5 minutes a batch and turned them over with metal tongs halfway through. Drain on paper towels and sprinkle with salt. Note: Some people like to use 2 parts flour to 1 part rice flour. I used all flour and it was wonderful! Heat soy sauce, vinegar, water, sugar, and oil in a microwave safe dish until hot enough to dissolve the sugar. Transfer to a small dipping bowl and add scallions and chili paste, if desired.